And now, for the most enigmatic of the Scout Series articles – Russia. Some say this article is afflicted with the ‘Russian factor’. 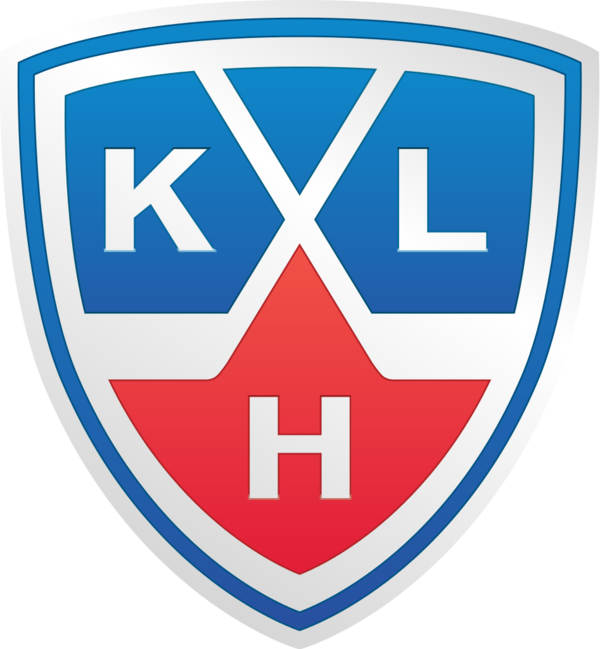 For all we know, it might jet over to KHL.ru at any time for the tax-free views. But until then, Future Considerations and RSport scout and writer Roman Solovyov was kind enough to join us and chat Russian prospect for the 2015 NHL Draft. Christian: Like always, quality Russian prospects are expected to be drafted in the first round, and beyond at this month’s Entry Draft. How would you rate this crop of Russian prospects? Roman: Unfortunately, there wasn’t much to watch in Russia there this year, similar to last years group – no elite prospects. Any first-rounders should be from CHL: Ivan Provorov and Yevgeny Svechnikov. Guys that played in Russia had their first real year on scout’s radars and nobody really attracted too much attention to himself. C: Denis Guryanov has attracted a lot of attention from scouts and has been rated around the middle of the 1st round by some, right where the Calgary Flames will be picking. What kind of player is Guryanov? Does he have star potential? C: Meanwhile, fellow countryman Ilya Samsonov has also shot up the rankings, even slipping inside the Top 30 on some lists. Is Samsonov worthy of being a 1st round pick? Is he a better prospect than hotshot Andrei Vasilevski was in 2012? R: For me, it’s a very big surprise how his stock has risen so extremely. Sure, he’s Bobrovsky-type goalie in that he’s confident and good skills, but what I don’t see what exactly people see in him? Had a few games for National Team, with a tremendous victory against US in round robin of U18 WJC and then loses 0-5 in QF against the Suisse. In comparison to Vasilevsky, he’s not as ready as him, and the same story goes with Guryanov. All the top kids from Russian leagues, they’re extremely raw. Remember what Vasilevsky achieved up to his draft: three WJC U18 where he became the main goalie in all 3 age groups + World Juniors in Calgary where Russia took silver medal. Samsonov has only one WJC U18 with QF elimination. C: The Flames have 3 picks in the 2nd round, and 2 picks in the 3rd round, are there any Russian prospects you see being available around that area of the draft? R: Provorov won’t, and Svechnikov shouldn’t fall down to the second round. Others Russians to be available there alongside Guryanov and Samsonov include Yakov Trenin, Alexander Dergachyov – who played on 4th line at last World Juniors – and CHLers Nikita Korostelev and Pavel Karnaukhov. Karnaukhov played for the Calgary Hitmen. I will nominate one more kid: Kirill Kaprizov from Metallurg Novokuznetsk. He’s smart player, he’s physically ready, not tall, but he’s a good size. He was the lone Russian in the 1997 age group who often played in KHL last season. Fun fact: his head coach in Novokuznetsk was German Titov. Also Flames will have a chance to pick the Russian-Suisse Gaudreau, Denis Malgin from Zurich. Yeah, he’s technically a Suisse guy, but for me he’s my Russian boy. He’s small, not physical ready, but his skating, shooting are great. I’d say he has the best hockey IQ among all Russian players on this draft. C: Which Russian prospect has been your biggest surprise this year? R: The biggest surprise is goalie Alexander Georgiyev, who was available last season. But in 2013-14 he played 0 games in MHL for Khimik Voskresensk, and in 2014-15 he played 14 games for TPS in Liiga and became the champion of Finnish junior league. (Author’s Note: Interesting prospect, had great numbers in the Finland this year.) Had a great camp in May for Russia’s U20 team and he’s going to be the starting goalie for Russia at World Juniors in Finland. C: Which Russian prospect do you think is most overrated by other scouts/media? R: As I said both Guryanov and Samsonov for me are very overrated. Both are extremely raw and both have been talked up by the media too much. R: Kirill Kaprizov who I mentioned earlier, and one more would be Maxim Lazarev from Cape Breton Screaming Eagles, who wasn’t drafted last year. The reason is their size, as in they’re too small, but hockey IQ and skills are good enough for them to overcome it. C: Lastly, who is your favourite Russian prospect for the 2015 NHL Draft? R: Well, I think Svechnikov, although I haven’t seen him this season much. But I like his approach to the game, his speed, shooting and also will to fight hard. Talking about this draft, we also mustn’t forget about Vladimir Tkachev, who should be finally drafted. Thanks again to Roman for sharing his insights on what looks to be a brutal Russian draft class, you can follow him on Twitter @croulmane. After this talk, I’m thinking I don’t want to touch Guryanov with a 10 foot pole. He’s screaming red flag in a very deep, intimidating Russian voice. For such a highly touted draft it’s slightly odd that, aside from two kids playing in Canada, Russians are a virtual non factor. As well players out of Europe in general are down with most of the top kids playing in north america for their draft year. Interesting the discussion not so much on overall skills or potential, but rather readiness, or “being raw” as a player. Perhaps that why someone like Guryanov somewhat controversial. Extremely skilled but very raw, he requires a lot of maturity but if he does and still develops he cold end up one of those sleeper “steals” for whomever drafts him. I wouldn’t mind drafting any of them, even in later rounds, like Tchachev or Kaurnakov or some of the ones he mentioned. You are assured a high-skill guy that can be great if you get them and can mood them to your own culture. If the Flames did end up drafting Svechnikov it might not be the worst thing in the world, but holy cripes, he’s going to have to blow Treliving and Burke away with his interview. Sounds like Denis Malgin is the way to go. OVer a PPG in international play too, that’s encouraging. I don’t get what’s Russian about him, but we can call him EvDenis Malkin if he performs for us. Also a right handed shot. The Oilers are welcome to Tkachev if they want him. He didn’t progress this season. In fact, he got worse. I think Svechnikov is a solid choice at 15. Skill and size.